This includes the configuration of language, character set, time zone and a German keyboard layout. In addition, you should also change the default password of the user "pi" and make a software update of the system. After that, the basic configuration of Raspberry Pi is already done. 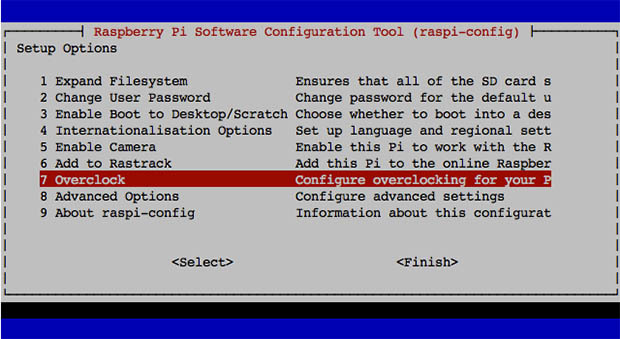 There is a configuration tool for configuring Raspbian under "Preferences> Raspberry Pi Configuration". This allows you to quickly configure important things without having to enter complicated commands on the command line. Some changes ask if you want to restart the system. Basically, you can first make all changes and then restart. 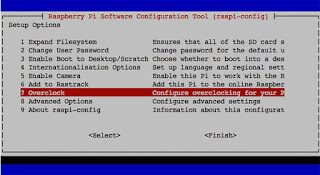 For the basic configuration, Raspbian brings the command line tool "Raspberry Pi Software Configuration Tool", with which you can quickly configure the important things without having to enter complicated commands on the command line. Depending on the application and requirement, additional or different configuration steps may result. Note: Almost all configuration changes take effect after a reboot. But you can make almost all changes together and then take over with a restart all changes together. Apply the setting with "OK". You can then make further settings or exit the configuration tool by clicking on "OK". If so, reboot to start the system with the changed settings. There are several options for the keyboard variant. You should choose the variant that is likely to fit the keyboard. The time zone determines the correct time at a particular location. The default is usually wrong. Therefore, you have to choose the time zone in which you are and whose time you want to get displayed correctly. With the WLAN country code one selects a kind profile for the use of the frequency spectrum, in which WLANs are operated. Almost every country has set a different operating permit for this, which is defined in a country profile. Note: If the country code remains at the default value "GB", then the integrated and external WiFi adapter may not detect WiFi. Every standard installation reveals standard users with standard passwords. After commissioning, these default passwords must be changed. With Raspberry Pi with Raspbian, this only affects the user "pi". If you are running a Raspberry Pi on the network, the first thing you should do is change the password . Note: After initial startup a Raspberry Pi is generally recommended to change the default password of the user "pi". If you leave it on "raspberry", then strangers can access the Raspberry Pi. And that both locally via screen and keyboard, as well as via SSH over the network. The host name determines under which computer name Raspberry Pi can be reached in the network. By default, a fresh Raspbian has the host name "raspberrypi". Maybe you want to change that. For example, if you operate several. Then you might want to distinguish them by name. The new host name can be entered in the text field with the given name. It is saved with a click on "OK", but only taken over with a new start. Note: It is recommended that you change the hostname using Raspberry Pi Configuration Tool. Images of distributions contain a key to the SSH server that authenticates Raspberry Pi to the client. If you have a corresponding image on his SD memory card pulled, then this key is the same everywhere. A key should be unique, otherwise it is not suitable for secure authentication. Therefore, you should change this key during an initial configuration. First we delete all the files in which the keys are located. There are several of them. Then we perform a reconfiguration of the SSH server. The creation of the key files is automatic. For a new Raspbian image, SSH is disabled or off by default. You can activate it via "raspi-config" or activate and start it on the command line. After re-login via SSH you will have to reconfirm the identity of the Raspberry Pi. Normally, Raspbian sets himself the appropriate resolution. It can sometimes be useful to change them. Here you can find the setting of the resolution in "Advanced Options / Resolution". If a Linux distribution has just been written to an SD card, then the root partition does not occupy the entire memory card, but leaves some of it unused. When you first launch a newly flashed Raspbian Jessie (as of 2016-05-10), the file system automatically expands to the total size of the memory card. That is why it is usually not necessary to extend file system. After that a restart is absolutely necessary. Especially with the first commissioning and basic configuration, it is important to bring the system up to date on the software side. Updating all installed applications and libraries of a Raspbian after the initial startup consists of two steps. Depending on the application and requirement, you should be careful with subsequent updates. With the update you can also shoot a system with its configuration. Since Raspbian Stretch, the Ethernet and WLAN network interfaces have different names. So no longer "eth0" and "wlan0", but "enx ..." and "wlx ...". This concerns USB-connected network adapters, which deviate from the usual designations. This means that in network configuration you first have to determine the individual name or change the naming convention to the old one. 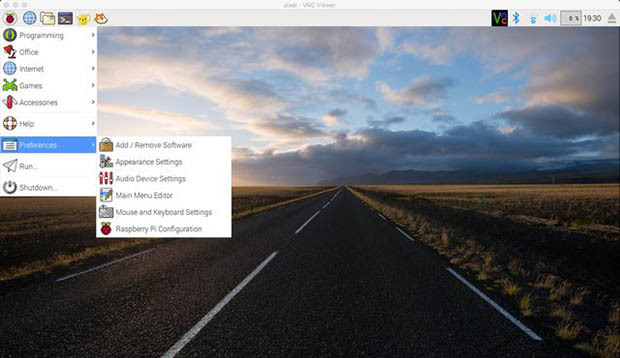 After making extensive changes to the configuration, you should always reboot Raspberry Pi. Only when the system has taken over the changes and then runs smoothly, you can use the system for experiments and further configuration. If you want to access a Raspberry Pi more often via SSH, then a static IP configuration is recommended. You set up a fixed IPv4 address that does not change on its own. An alternative to the static IPv4 address is the Zeroconf service, also known as Bonjour on Windows and Apple, and Avahi on Linux. Zeroconf is an announcement service that promotes printers and computer names on the local network. In this way you can access the Raspberry Pi via computer name with SSH and do not need to configure IPv4 addresses.